With Halloween just around the corner, shops are soon to be filled with pumpkins. 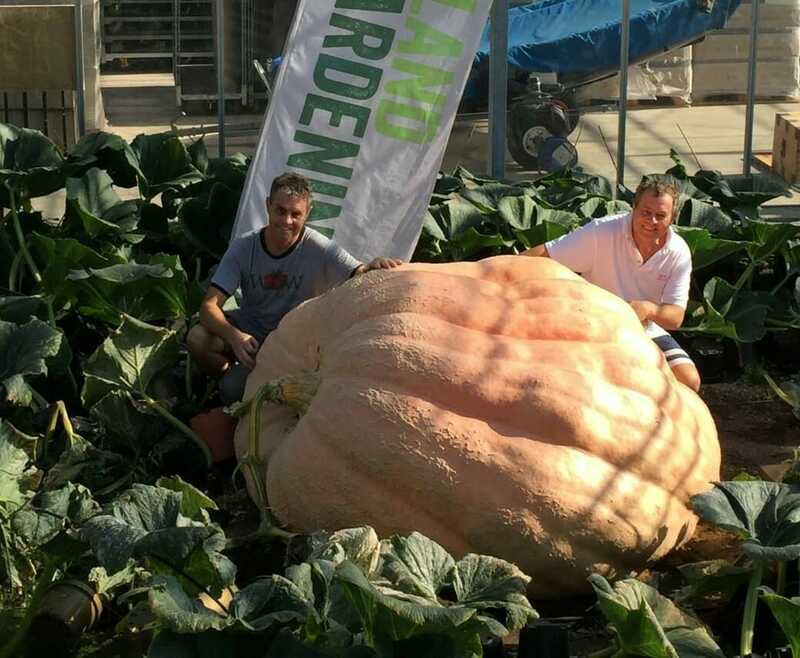 One that won’t fit into the local supermarket however is this 174 stone pumpkin grown in Westland compost in Lymington near Southampton which has been crowned a world record holder! The pumpkin has been grown by Ian and Stuart Paton at Pinetops Nursery, which traditionally grows pot plants. However, the twin brothers have a passion for growing supersized pumpkins and have become prolific record breakers with their pumpkins having previously broken UK and European records multiple times. This weekend, the pumpkin broke the record for biggest circumference, measuring in at 20ft! Pinetops Nursery is supplied by Westland Horticulture and Westland’s compost is used across the nursery, including in the pumpkin patch, to grow the very best produce. The brothers tend to the pumpkins for four hours per day and use 100 gallons of water; at peak times the pumpkins increase in weight by 60lbs per day! The brothers also received the “Grower of the Year” title. To achieve this, they had to grow three different pumpkins, and have them weighed in three different locations. Weigh-ins were held in Holland and France, with the final one taking place this weekend. For more information please visit https://www.gardenhealth.com.